Entrepreneurs are fascinating to me. They are tied to the mast by their own natures. They can’t do anything else but what they are doing. They have to create. Even when the most they get from friends, family, and the guy on the next bar seat is a cocked eyebrow, maybe even a yawn. Most of the entrepreneurs I deal with have long come to terms with the way they are wired. To them, it’s just who they are. As amazing as they are in their inspiration and knowledge base, they (like all of us) can often use a bit of perspective. As general corporate counsel, that’s a place I can make an impact. It’s my job to scan broadly to see the forest my client is walking through, and keep a closer eye for the falling tree that might hit him on the head. While I am not a huge believer that something as complex as entrepreneurship can be reduced to lists, there are a few home truths that have emerged for me in doing this over and over again. It’s in the form of advice I could give any person looking to forge a business where there was nothing before. An entrepreneur needs to be able to analyze a challenge along at least two separate tracks — Pro and Con, Option A and Option B, these assumptions and those assumptions. This is easy for a lawyer to say; it’s what we’re trained to do. (“I did not kill that man! But if I did, this is why I should get off.”) But you know what? We all need to do it from time to time, and someone starting a business from scratch really needs to do it. Bill is the founder of a company that is developing a family of apps for use within the construction industry. He has always believed that the vertical he needs to focus on as the way into the industry is commercial banking. It’s the insight that got him into this venture and it’s what he’s always assumed would work best. But a friend who’s given good advice on this venture before is telling him that it’s the building trades, people on trucks like plumbers and roofers, who would adopt the product first and then evangelize it within the construction world. Bill’s intuition has done him well in life to this point, and he’s loath to step away from it now. In fact, not just “going with his gut” feels like a rejection of who he is. But Bill needs to be able to mentally take a moment and imagine a world where he’s wrong and his friend is right. He should play out both scenarios – from past first principles, through the present, and into the future. And he should do it without kicking and screaming. It’s a waste of energy. You won’t lose yourself if you think in parallel. Your brain is big enough to keep control of the whole process and bring everything back in when it’s decision time. I’ve sat across the table from several company founders who have given me the look of a deer in the beams of an approaching car when I’ve told them my cursory Google search has shown others are already operating in their space. In these cases the entrepreneurs have gotten so romanced with their own idea, and so deep into the feedback loop created by unexamined assumptions of uniqueness, that they’ve failed to consider that others are already there, or nearby. There really are few new ideas under the sun. (And I plan to write a piece about why ideas, alone, are pretty worthless.) It only makes sense that in a world full of smart people who, receiving the same inputs and experiencing the same things as you, would hit on your idea. A new company is the most compelling when it is the first to market to solve a pain – or, better put, the first to (i) solve the pain (ii) with a sustainable business model. 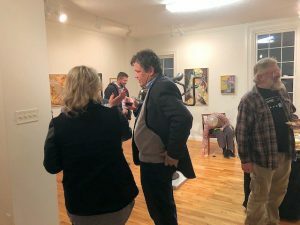 It can also be pretty compelling when there are folks already doing what you do, but you have some special angle on it – which may be no more genius than really good branding or deep industry knowledge. You need to know which of these scenarios – commodity or non-commodity – apply to you before you can really have any business entering the marketplace. They are very different realities. You can’t know any of this before you fall out of love with your idea for a brief moment and survey the landscape with a sharp and skeptical eye. REALIZE THAT YOU ARE YOUR BEST PRODUCT. You will probably abandon your original business concept. It’s natural, somewhat inevitable, and completely healthy. It’s not failure. It’s life. We didn’t get dating right the first time we tried it. When we finished a term paper in college it probably was about something different than when we wrote the first word of it. Reflective light technology revealed that Da Vinci first had Mona Lisa looking off to the side, without her half-smile. The original idea is what gets you into the game. Without the original idea you wouldn’t have had the reason to start the journey. But it will almost certainly not be what your product or service actually turns out to be. What will still be there is you. Which, to me, means that you are the real product. Smart early-stage investors know it, or come to know it if they see enough deal flow. There are a lot of ideas, a million slices of the pie of industry – lots of places to do good work. Lots of opportunity. But there are only so many people really who have the persistence and character to think as clearly as spring water while at the same time wading chest-deep in muck. These people are pretty rare. It’s rare because it’s hard. The born entrepreneur has a leg up, because he really has no choice but to work to become that person. He may not know that’s what he’s doing, but he’s doing it nonetheless. 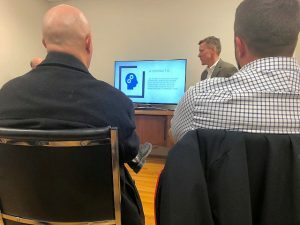 If you would like more information on these entrepreneurial essentials or have an issue in business law, please contact me or any one of our Virginia corporate law attorneys. Thank you! 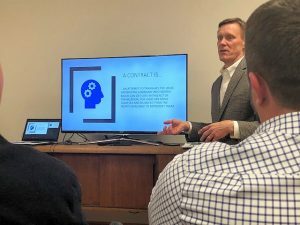 Harrisonburg partner Jared Burden and the whole GreeneHurlocker firm are grateful for the great attendance of our business clients and colleagues at our “Top Five Risks When You Sign A Contract” session with our friend Tom Mendez of McGriff Insurance Services yesterday afternoon in our offices in the Smith House. 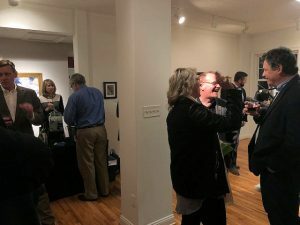 And the after-party, our Open House celebrating the successes of our first year of our Harrisonburg office, was incredible fun and filled the art gallery downstairs. We are pleased to report that all those who attended shared our Holiday spirit and wishes for a prosperous New Year were frequent and heartfelt. We can’t wait for another time to get together, so watch for our next seminar announcement in the New Year. You can see the fun for yourself below. Collin Atkins, a business attorney in private practice in Richmond, has joined the business, renewable energy and corporate law practice of GreeneHurlocker PLC, co-managing member Eric Hurlocker announced today. “Collin joins us with significant experience working with corporate clients, as well as a number of years as in-house counsel for a manufacturer, which will enhance and expand the services that we provide to our business and renewable energy clients throughout the region,” Eric said. Atkins focuses his practice on assisting clients who require advice in formation, contract drafting, and employment and regulatory concerns. In addition, he offers counsel on a wide variety of commercial agreements across different industries, including distribution, manufacturing, service, and technology related industries, which will contribute to the expansion of the firm’s OPENgc services. “I’m excited about joining GreeneHurlocker and partnering with clients who are growing and expanding their businesses,” Collin explains. Atkins will be based in the firm’s Richmond office, but will also have an office at the firm’s Harrisonburg location to support the firm’s growing practice throughout the Shenandoah Valley. Atkins earned his undergraduate degree in history from Presbyterian College in Clinton, South Carolina. He earned his J.D. at the William & Mary Law School, where he was a graduate research fellow and a member of the William & Mary Bill of Rights Journal. We were excited to read the Richmond BizSense article on our client, City Barre LLC, who is preparing to open a new fitness studio in the Scott’s Addition neighborhood of Richmond this spring. City Barre’s new studio will offer barre classes, which combines various types of exercise techniques including yoga and ballet. We are honored to have been a part of the team that has helped City Barre, and its founder Gretchen Stumpf, get to this point and we look forward to watching City Barre succeed in this exciting new chapter! If you want to know more about how we worked with City Barre or more about business law, please contact one of our business and corporate lawyers. We were excited to read the front page coverage about our client, Nutriati, who we have mentioned before, here and when they were selected for a ChamberRVA IMPACT Award, in yesterday’s Richmond Times Dispatch Metro Business section. You can see and read about the strides the Company continues to take on the RTD website. We wish the Nutriati Team continued success, and we’re looking forward to tasting those brownies someday soon. Lawyers trade in words. It goes beyond dropping Latin phrases like ipsi dixit (“a dogmatic and unproven statement”) and nunc pro tunc (“now for then”) into legal briefs. It is part of the business law as well. 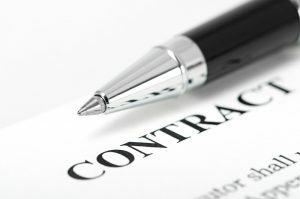 Attorneys write into their contracts musty-looking words that are meaningful to them (like “hereby” and “therefor”) to telegraph something to the lawyers on the other side and to courts who might interpret the document years later. Adherence to customs like this is tied to the fact that lawyers live in a world where the consequences of imprecision can be a serious matter. There are two ways to accomplish precision: write with rigorous terseness that no one can misunderstand or throw up a fence of words that hems in an unruly concept so tightly that it can’t escape. Representations, warranties, covenants and conditions are found in most commercial contracts of any complexity, such as shopping center leases and an asset purchase agreement. These provisions are, or at least should be, sources of comfort to the parties to a contract, because they can greatly reduce the risk that arises from the unknown. But they are often glossed over by the principals in a deal – perhaps perceived as another lawyerly way of saying the same thing in four different ways. The contractual basics of offer, acceptance and consideration are usually dispensed with at the top of the book – the first two or three pages of the contract. These provisions establish the “what” of the deal. A few pages in come the provisions in which the parties represent to each other that certain facts are true, warrant that a set of facts are accurate, covenant to do things and not do things, and state the conditions on their performance under the contract. These sections answer the question of “why.” The representations, warranties, covenants and conditions, and the indemnification and remedy provisions that interact with them, lay bare the reasons for the deal – the preconceptions of the parties. This is why these provisions are usually negotiated with a high level of precision, whether the method is the rigorous terseness or the high fence of words. The four concepts are distinct but interrelated. A representation is an assertion of fact that is given by one party to another party to induce that party to enter into a contract, close on the contract, accept the risks inherent in the deal, or take some other action. If the representation of fact is untrue, it is inaccurate, and the remedies for misrepresentation set forth in the contract are available, which could include undoing the contract. The contract sets the remedies. A warranty is a promise that the facts asserted are true, which is impliedly supported by a promise to make it right if it isn’t true. If the warranted facts are untrue, it is a breach of contract, which, technically, is different than misrepresentation. A covenant is a promise made by a party to take certain action, or refrain from acting. Not doing as promised is a break of contract, and the contract will usually say specifically what the remedies are. A condition is a fact that must be true or an event that must have occurred before a party’s obligations or rights are triggered. Representations and warranties, while technically different concepts, are so closely related to each other in practicality that it is excusable that the two words are written and spoken as a couplet, as with “over and done” and “peace and quiet.” Some commentators point out differences, such as that the former is about the past and the latter is about the future. At the end of the day, though, the distinctions are not important. Courts often ignore the difference between the two terms, and a contract usually provides the same remedies for both. Quite a bit is going on with representations and warranties in a corporate acquisition agreement. They apportion risk. They create direct claims in the case of inaccuracy. They form the basis of the parties’ indemnification obligations. And, they are informational. The disclosure schedules that lay out the exceptions to the statements of fact will often increase the size of the document to the width of the Hamilton biography or beyond, because it’s in the schedules that the details of the to-be-acquired company are set forth, dialoguing with the legal, financial tax due diligence that the acquirer has undertaken. Covenants are often intermingled with the representations and warranties – for example, when the party represents and warranties that certain facts will be true at some moment in time in the future. This is not usually a conscious choice, and for a variety of good reasons (often having to do with clarity as to what remedies apply to what breaches), mixing these concepts together should be avoided. It is best to keep the future – the realm of covenants — separate from the present and past – the realm of representations and warranties. Conditions in a contract are critical because they provide the “outs” that a party needs to have in something as complex and nuanced as a corporate acquisition agreement or the contract to purchase an office complex. The list of things which must be true to finally and inalterably bind a party to close on such a deal is long, and among the most important of them will be that the reps and warranties are accurate as of the closing date and that all actions that the other party has covenanted to take have been taken. Some say that the only time contracts are necessary is when everything is falling apart. If that is true, then representations and warranties, covenants, and conditions – and the thick disclosure schedules and indemnification and remedy provisions they spawn – are truly at the beating heart of the business deal. Eric Hurlocker welcomes Jared Burden to the firm. We’ve expanded our footprint by bringing on a new partner, Jared Burden, based in Harrisonburg to open the firm’s second Virginia office as of January 9, says co-managing partner Eric Hurlocker. 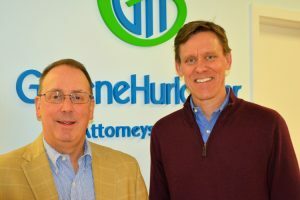 “Our expansion into the Valley and the I-81 corridor with the addition of a talented lawyer like Jared are examples of GreeneHurlocker’s client-driven strategy at work,” says Brian Greene, co-managing partner. “We will be able to provide clients with greater depth and reach of representation in matters relating to corporate, business, project development, and commercial real estate, among others,” he concludes. “Jared adds a seasoned practitioner to the firm’s business and corporate law practice and also brings the firm a strong commercial real estate attorney. He represents sophisticated and diverse business clients that dovetail nicely with our clients. He’s an exceptional fit for our firm,” says Eric Hurlocker. Burden will oversee the opening and ongoing operations of GreeneHurlocker’s Shenandoah Valley office, the firm’s first office outside of Richmond. He is a graduate of Duke University and UVA Law School. Burden brings more than 27 years of experience as a corporate lawyer encompassing acquisitions, joint ventures, venture capital, and thousands of contracts of all sizes and types. Burden’s commercial real estate practice is based in experience both as an attorney and as an executive with a DC-area retail real estate development company. Additionally, through Burden’s innovative OPENgc service, GreeneHurlocker will be providing outside general counsel services to businesses in a custom-designed program for a flat fee. “The fixed fee general counsel service is one of the many unique offerings that Jared brings to the firm. This will be a key value proposition for our clients in emerging markets,” says Eric. “While I enjoyed practicing law in large law firms in Washington, DC and San Francisco, I’m most proud of the success of the solo law practice I founded here in Harrisonburg in 2015,” Jared explains. “It leads perfectly to joining GreeneHurlocker, because the firm is a dynamic practice that is focused, as I am, on growth-stage businesses in innovative industries,” he says. GreeneHurlocker’s Harrisonburg, VA office is located at The Hub, 128 W. Bruce St. in downtown Harrisonburg, VA, across the street from the Ice House and minutes from James Madison University. Has Your Company Registered as a Foreign Entity? Blair Powell, business and energy lawyer, explains what it means to be required to register in a jurisdiction as a foreign entity and what penalties may accrue if you fail to do so. For more information, contact Blair or any of our business lawyers. In April’s Energy Update, corporate attorney Blair Powell reminds companies, partnerships and other business entities to keep corporate documents up to date with the business purpose and to properly describe roles of officers. 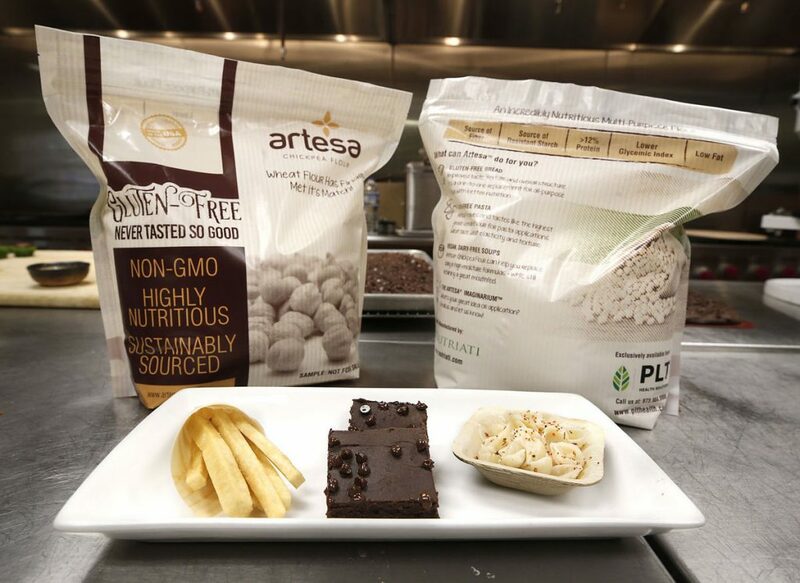 Our client Nurtiati Inc. has gotten some great news that will help it expand its ability to bring healthy gluten-free protein to the nutritional foods market. 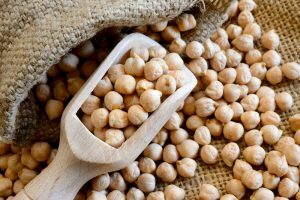 A consortium of venture capital firms in London, Richmond and San Francisco is putting in $8 million towards the firm’s acquisition and processing of chickpeas into powder that can be used in making snack bars, baking mixes, shakes and as a substitute for eggs, wheat, soy and milk. We were excited to be part of the team that has worked with Nutriati to get to this point. We are very confident that Nutriati has a robust future and are so proud of its founders Richard Kelly and Michael Spinelli. They also were the winner of ChamberRVA’s Innovator Award last fall. If you want to know more about how we worked with Nurtiati on this financing or about corporate capital and financial law, please contact one of our business and corporate lawyers.